Hello dear friends welcome to our web portal. 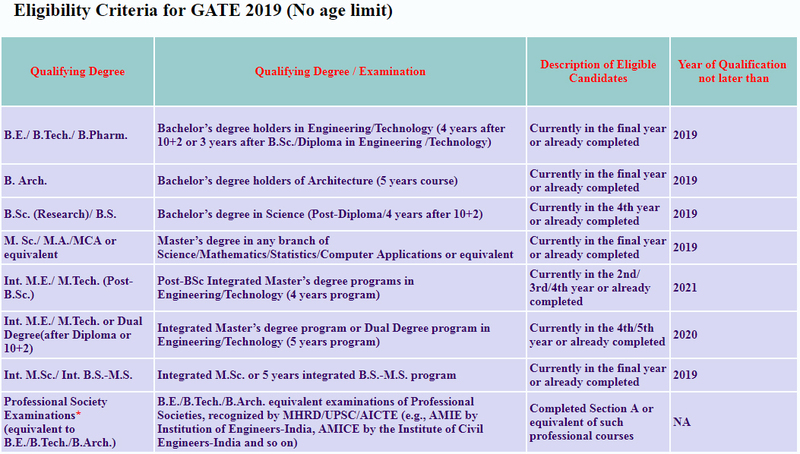 Good news for those who are going to end their M.E, M.Tech, and Direct PhD in this year because IISc and seven IITs has uploaded the official notification for GATE. 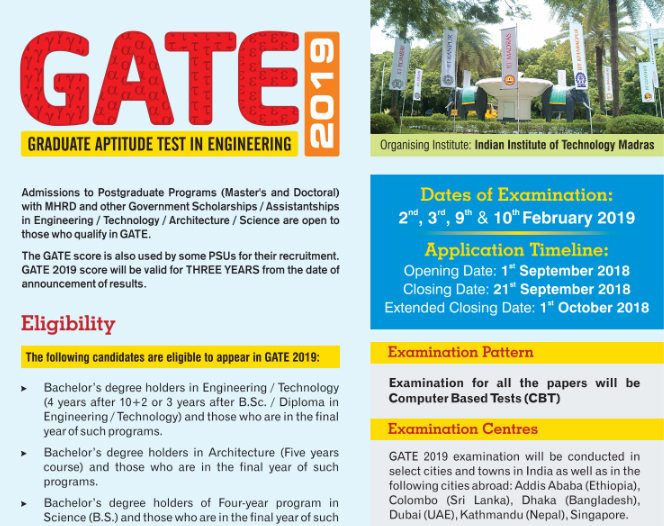 The purpose of conducting Graduate Aptitude Test in Engineering (GATE) is to select students in M.E, M.Tech, and Direct PhD courses in various streams in the most reputed engineering colleges of India i.e. IISc (Indian Institute of Science) and seven IITs (Indian Institutes of Technology. This examination is conducted every year by any one of the IISc and seven IITs. Those candidates who are wishing to do M.E, M.Tech, and Direct PhD it is a great opportunity to get admission in Indian Institutes of Technology. Every year huge number of candidates across India participated in Graduate Aptitude Test in Engineering (GATE). But there is limited number of seat available for M.E, M.Tech, and Direct PhD programs. Candidates are advised to work very hard if they want to clear Graduate Aptitude Test in Engineering (GATE) because participation of huge number of candidates makes it one the most competitive examination. There are many coaching centers are also available in our country candidates can also join them for better preparation of Graduate Aptitude Test in Engineering (GATE). In this web page we will give the more information of upcoming GATE. Candidates have to visit the official website of GATE. You can also visit any IITs website. There you have to search for the link ‘GATE’ and go through that. Fill the application form online. Upload the recent passport size photograph and also upload signature. Pay the application fee by any one of the above said method. Submit the application form and take the hard copy of it. Dear candidates, to get education from any of the IIT are a pride for every student. 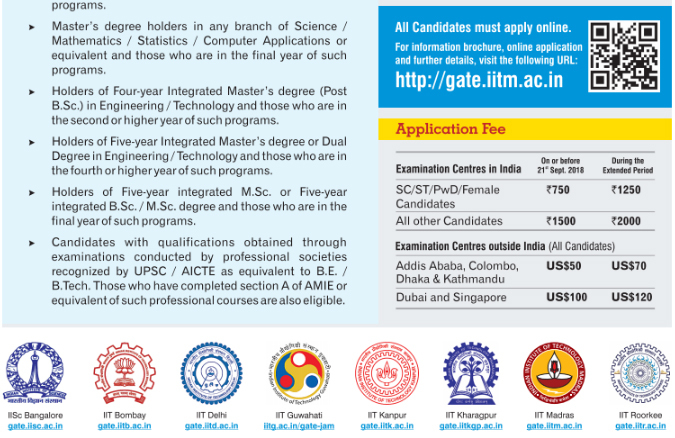 This is the last opportunity for those who could not make their way in to the IIT in Bachelor degree programs. Work hard and show you talent and crack GATE with good rank. If you have any queries related to this web page or GATE you can comment in the comment box.